Nana Patole, BJP MP from Bhandara, rushed to Akola, where Sinha was detained on Monday while protesting against the government’s “apathy” towards farmers in Vidarbha. 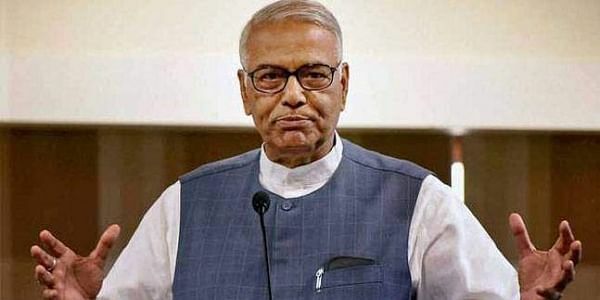 MUMBAI: Rebel BJP leaders along with the Shiv Sena and the Nationalist Congress Party (NCP) on Tuesday pledged support to an agitation started by former Union finance minister and BJP leader Yashwant Sinha to get the grievances of farmers in the Vidarbha region redressed. Other BJP leaders, including Varun Gandhi, Arun Shourie and Shatrughna Sinha, are also expected to reach Akola, Patole said. Meanwhile, Sinha is learnt to have spoken to Shiv Sena president Uddhav Thackeray and NCP chief Sharad Pawar, who have lent support to his agitation. The NCP and Sena blocked a road on Tuesday even as Sinha said he would proceed on fast unto death to press for farmers’ demands. “It’s a shame that a senior leader like him has to resort to an agitation,” Pawar said. NCP MP Supriya Sule is expected to join Sinha in his protest. Sule is leading an NCP protest march in Vidarbha that is expected to reach Nagpur on December 11, when the winter session of Assembly will begin. Sinha, who led a farmers’ protest march to Akola district collector’s office on Monday, is demanding that the farmers’ demands be urgently redressed.